This is a membership organization designed to promote, inform and represent local businesses and their interests. those suffering from mental health issues. An initiative set up by the Craft Council to work with other organisations. A forum to share ideas, research and opportunities for partnerships. and curiosity for the Surrey landscape. The innovative programme of ten projects will run throughout 2018-19.
their history and uses over time. 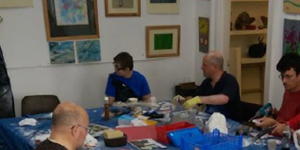 Chris has autism but wants to work so his family and friends set up a social enterprise, which enables him to do the things he enjoys. He makes his own special range of mugs and he personalises mugs for other people. He also make coasters, tshirts, greetings cards and other interesting things. bar, café and craft studios. Turner Prize nominees are just some of the high-profile graduates from the University for the Creative Arts. Becci Kenning, a Visual Artist workng within communities, early years settings & schools to create ambitious and inspiring art. The Welcome Project team work in partnership with other charities and volunteers across Surrey to provide a variety of activities, guidance and opportunities for people who need support with their emotional wellbeing. 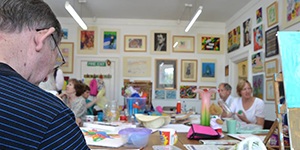 The summer Open Studios offer the public access to artists and makers and gives a valuable insight into how artwork is produced. For 16 days the summer event is all about visiting studios, meeting artists and makers, seeing them at work, browsing completed works and seeing work in progress, and even trying your hand at making something for yourself. 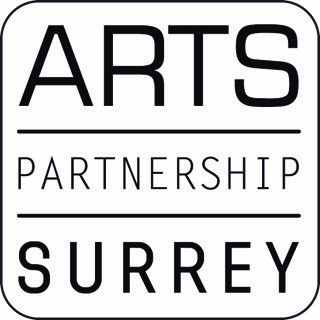 Daisy is an umbrella organisation which promotes and celebrates the works of disabled artists and disability arts organisations in Surrey.